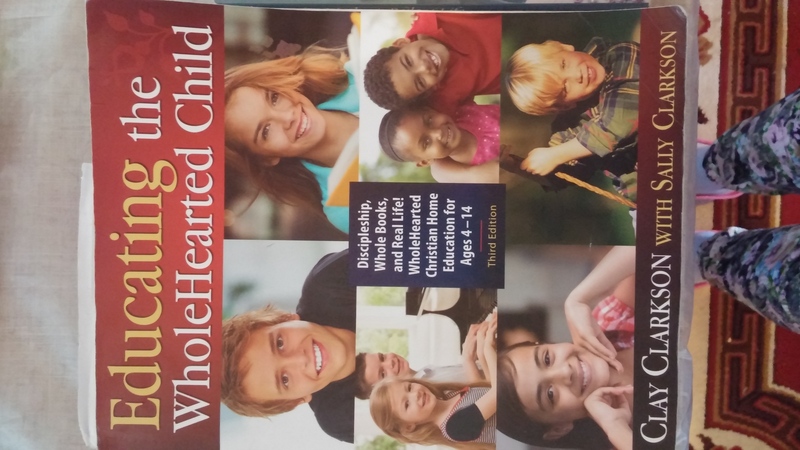 I’m in my 5th or 6th year of home schooling, and I really need convictions about this. I realize that I do well what I have strong, personal convictions about. Like birth, breastfeeding, and training children. I had to work a lot to get those convictions however. Birth and breastfeeding kind of grew up with me out of my interest in midwifery– years of reading and poring over homebirth and breastfeeding books just naturally happened with my interest. 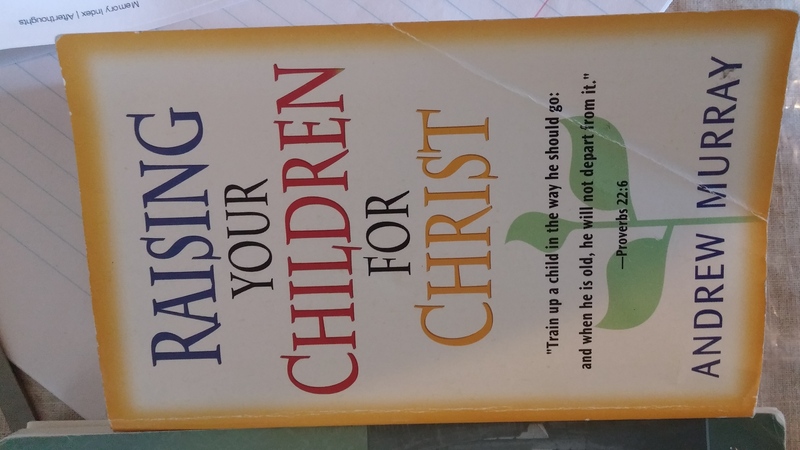 But with child rearing, I just started with a lot of lousy assumptions, and I had to go through a long crisis before I was ready to be open and formed by God in this area. Then, I started really reading and studying and forming convictions and theology. With home schooling …. I just haven’t wanted to get that involved in it and do the work of forming my own convictions, I confess, though there are times I’ve probed into doing this. But I think it’s God’s Time for me to do this now, and that is a key factor. So I’m trying to open my heart and life for the influences God wants to bring to me. Exploritory Writing Warning: So Im going to blog about the thoughts God leads me through. It will be stupid and raw sometimes, and just repeating things I logically know but don’t feel to be really true in my heart until now, meaning nothing new, just working things down into my true belief system and not just my logical assents. Mostly right now, I need the desire and longing to have a personal conviction about exactly how and why God wants me (not everyone in the world) to do this, and I should quit being lazy about it or avoiding it just because, for some reason, it makes me uncomfortable or I don’t want to do this work. Or maybe it’s not laziness, but more that I just haven’t reached my own level of development to be able to do this before now. 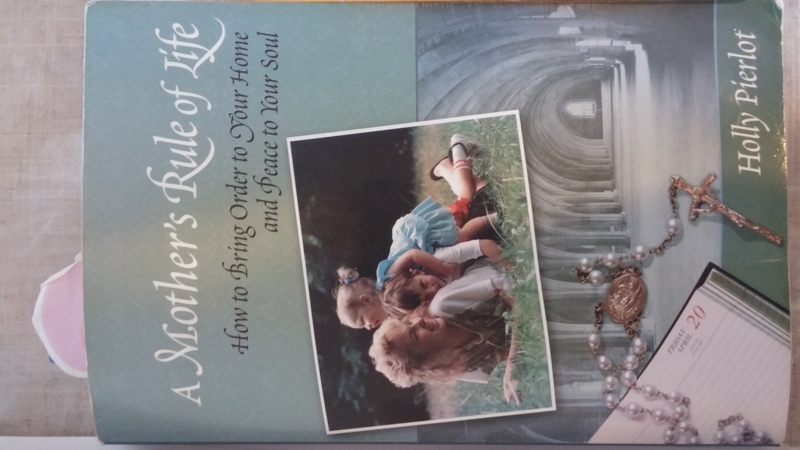 A Mother’s Rule of Life by Holly Pierlot (not about homeschooling, but more about focusing your life on what you’re called to do). 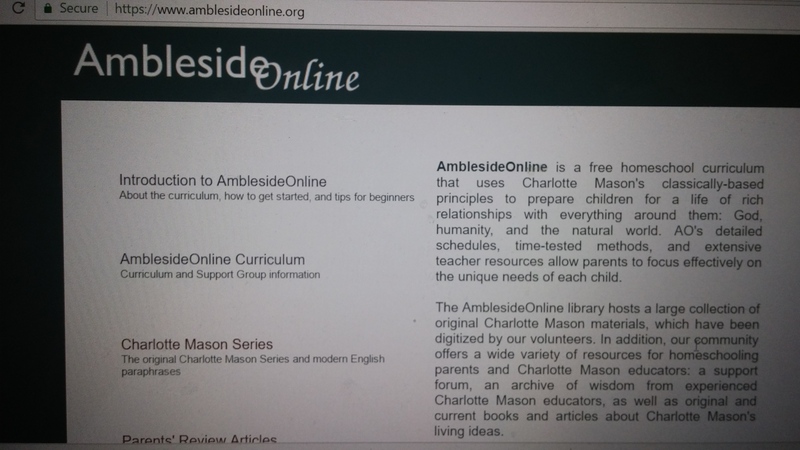 Ambleside Online— a free, Charlotte Mason-based curriculum plan and lots of info about studying and applying her philosophy to educating a child. I realized yesterday as I was reading here, that I will be educating myself through this process and living out the purpose of my own education.